In order to grow old better, let us live as a group. That’s what a group of young retirees from Lyon are betting on. They decided to build a place to live that is ecological and participatory. After two years of works, it will be revealed this summer. “The Third Age has become a real business where investors are offered returns of 6% to build complexes for old people.” So says Patrick Chrétien, a retired primary school teacher. Instead of paying “€2,000 per month for someone else to entertain us” he and about 20 recently retired friends opted in 2009 for an original solution: the construction of a collective habitat, adapted to older living that would be convivial and ecological. It was quite a challenge for these 60-somethings, particularly when facing lending institutions from whom they finally extracted three loans totalling €1.9 million… over a 50-year term! Thus, after four years of planning and two years of works, the building christened “Chamarel – Les Barges” (named after the Chamarel co-operative they formed) was finally unveiled in the commune of Vaulx-en-Velin – a suburb of Lyon. Standing four storeys tall, the block is insulated using straw bale insulation and contains 14 flats of 45m2 (T2 size) and two 63m2 apartments (T3 size). The first residents are expected to move in this summer. Apart from the flats, there are numerous communal areas: three friends’ bedrooms (chambres d’amis for receiving children and grand-children), a common room with a kitchen, a DIY workshop, laundry, an administrative office for the Chamarel association, a bike shed, car park, gardens… Even beehives on the roof. Furthermore, this notion does away with the threat of property speculation. In order to live in this little ecological building, everyone must pay a rent of between €600 and €800 per month. On top of that, a share of about €30,000 is payable, adjusted according to the means of each resident and which will go to the co-operative. If one of them has to leave some day, this sum will be reimbursed to him or her to the nearest cent, taking into account normal inflation rates but disregarding the fluctuations of the property market. “In 1971, the State abolished the status of residents’ co-operatives and we had to therefore become quite creative in using existing laws to our own ends.” Their efforts and those of other similar groups in France (such as the Babayagas one or the vertical village of Villeurbanne) have actually resulted in the French government effectively reinstating the status of residential co-ops with the Alur law of 2014. 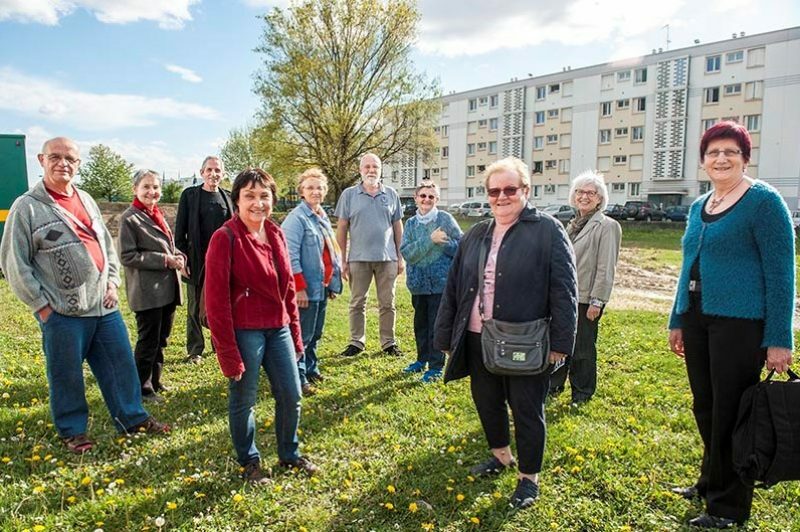 This should mean that projects like the one in Lyon will be replicated across the country, bringing a new and improved version of the French troisième âge in a country where retired people already live that little bit longer (by two years on average) and healthier than their Irish counterparts.